Some of the guys on the forums have been telling me they’re having great luck running GiWitch - one camp of Boxer Giants, four camps of Night Witches. This combo in and of itself isn’t particularly new; we ran it all the time at BH6. The difference here, though - we have a fifth Army Camp! I was always a Mitch guy at BH6, occasionally dipping into my Baby Dragons if the base warranted it. GiWitch never quite seemed to work for me, but then again, I also didn’t really put the time into figuring it out either. What I had was working, so I was good with where things were at the time. BH7 is a whole new meta, though, so I’m trying everything out this week! “LouBaby” told me I needed to check this one out, so I spent a few hours tonight working on it. I gotta say - it’s fun and it works pretty darn good once you figure it out! The spread is simple - 1 camp of Boxer Giants to tank, 4 camps of Night Witches to wreak havoc and mayhem. The key to success is in the tanking - you’ve got to keep the Night Witches alive to get a decent two star out of this attack. Initially, I had a lot of trouble getting things lined up on this attack. BH6 opponents…they were fairly easy. BH7 though…it just didn’t come together well for me. 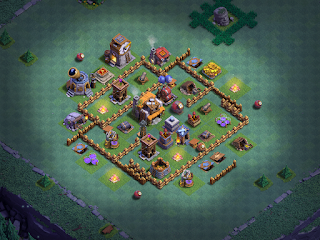 This was especially the case with the heavy gem crowd - their maxed bases were very difficult to cut through. Eventually it occurred to me that I needed to deploy the Night Witches from an angle that would allow them to get their bats to the MultiMortar after going through not more than 2 layers of other structures. If the MultiMortar was situated toward the outside - as is often the case with a diamond base - that would be easy. The challenge was the box base with a more centralized MultiMortar. For those, I used the tanks to also clear defenses so the Night Witches could still reach the MultiMortar (assuming the Boxer Giants and/or Battle Machine didn’t get it first). The next issue was keeping the tanks alive. In my Minion Drops video, I used Beta Minions and Drop Ships as the forward attack, keeping my Battle Machine back to send in once 50% or more of the defenses were down and a clear path cut to the Builder’s Hall. That doesn’t work with GiWitch - the Battle Machine is just as much a tank as the Boxer Giants. You’ll see from the replays in the companion video (link below) that I started off in the 50%-60% range before eventually working my way into the 70% and higher range. This was not a quick transition - I had two games going, side by side, playing non-stop for nearly 3 hours. That translates to 40-50 attacks getting it to where I could consistently pull off a win. Once I did get the hang of it, though...I was definitely able to pull off consistently high two-star results and the occasional three-star even. This was the case on both games - particularly worthy of note because my main had all level 12 troops and a level 10 Battle Machine, but my secondary had level 10 Boxer Giants and a level 5 Battle Machine! The end conclusion here is that this attack strategy is a solid one for new BH7 players to use against BH6 and each other. It works well against more mature BH7 games also, but with a whole lotta newly hatched BH7 games in the 3000s...this one is a solid winner. That’s especially the case for a lot of folks who will only have access to level 10 to level 12 troops. I can’t wait to get my Night Witches and Boxer Giants to level 14 so I can try it against maxed players!